The Capitol: Homage to Roman Gods? 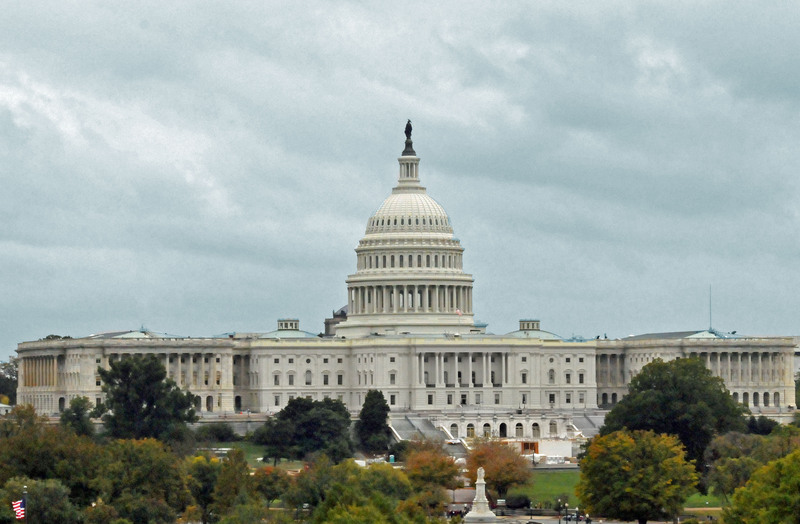 The Capitol in Washington, D.C., is among the most-recognizable buildings in the world. Even the name of this symbol of American democracy mirrors European religious buildings, some of them pagan. In 1791, Pierre L’Enfant, a French-born artist, developed a plan for a new government city along the Potomac River, choosing Jenkins Hill for the “Congress House.” Secretary of State Thomas Jefferson renamed both the hill and the proposed building after Rome’s Capitoline Hill, the site of the ancient temple to Jupiter Optimus Maximus Capitolinus. Jefferson then suggested that those submitting designs for the new Capitol should evoke the Pantheon, a second century domed temple to all Roman gods. William Thornton, a Scottish-trained physician living in the West Indies, submitted the winning design, incorporating elements of the Pantheon into the section between the legislative chambers, with a low dome centered on columns supporting a classic pediment. These design elements were modified, but all were included in the original Capitol, which was finally completed in 1818 after being damaged in the War of 1812. Because the cast iron was showing signs of deterioration, the Capitol dome has been under repair since 2014. The history of the dome and illustrations of the Capitol designs since 1792 can be reviewed in the massive underground visitors’ center, opened in 2008.